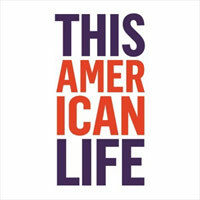 This American Life is a weekly public radio show broadcast on more than 500 stations to about 1.8 million listeners. It is produced by Chicago Public Media, distributed by Public Radio International, and has won all of the major broadcasting awards. It is also often the most popular podcast in the country, with around 850,000 people downloading each week. From 2006-2008, we produced a television version of This American Life on the Showtime network, which won three Emmys. We’re also the co-producers, with NPR News, of the economics podcast and blog Planet Money. And a half dozen stories from the radio show are being developed into films. There’s a theme to each episode, and a variety of stories on that theme. It’s mostly true stories of everyday people, though not always. There’s lots more to the show, but it’s sort of hard to describe. Probably the best way to understand the show is to start at our favorites page, though we do have longer guides to our radio show and our TV show. If you want to dive into the hundreds of episodes we’ve done over the years, there’s an archive of all our old radio shows and listings for all our TV episodes, too.